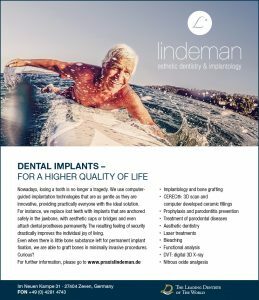 Dentist Marten Jan Lindeman is a farsighted, dentally demanding and economically oriented expert for implantology, aesthetic-reconstructive dentistry and oral surgery. He has acquired a Master’s degree in all three specialties and wants to advance his practice continuously. In order to speed up the professional development, his area sales director recommended adding STEPPS practice marketing: With a strategic communications concept, a pointed positioning of the practice in the regional surroundings and a catalogue of services, the STEPPS experts spent two years turning the practice into a quality brand at the five-star level. The objective was to position the brand in exactly the right way for reaching patients to whom sustainable dental health is important. This includes patients that are ready for extensive dental treatment, demanding patients who appreciate an esthetic dental appearance, as well as mature patients who would like to regain the dental situation of a young adult. The STEPPS experts developed a visual unique positioning by integrating the world of surfing into the dental world. 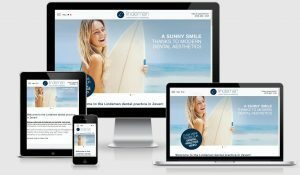 Doctor Lindeman’s private passion for surfing was the inspiration for this strategic move. The STEPPS experts decisively applied attributes from the surfing scene to dentistry. Sound impossible? Not at all! A series of advertisements with surfing motifs mirrored the practice’s primary themes: Holistic dentistry, quality of life through implants, esthetic dentistry, innovative dental technology, advance in knowledge, service orientation. The surfing motifs can be found in the practice’s remaining media, as well: Doctor Lindeman’s website profits from these equally unusual and expressive pictures and is able to position itself uniquely in the mass of practice websites, simply through the strict adherence to one pictorial world. 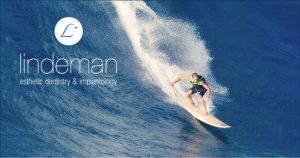 All six therapy-specific flyers are adorned with the respective surfing motifs in the title and therefore demarcate themselves clearly from traditional dental flyers. The expressive surfing motifs can also be found on the walls of the dental surgery. The value of recognition should not be underestimated. Furthermore, the repeated use of the motifs also has economic benefits. Doctor Lindeman communicates on the Internet via the practice website, the Facebook profile and evaluation management as well as through an unusual image film, in the regional press through PR articles and advertisements, as the speaker of his local patient information events, as a sponsor at local sporting events (banner advertising) and in town through the branding of his company car. And within the practice, the consistent brand presence is mirrored in the new maritime interior design, the team outfit and all office supplies. For doctor Lindeman, the practice brand says it all. Click here to discover STEPPS, marketing for dental professionals. The STEPPS practice marketing program and the presented services are not available in all countries. 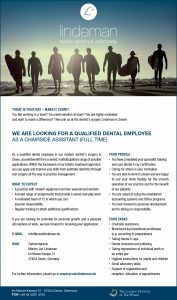 For information, please contact your local Dentsply Sirona Implants representative. Enter your email to get updates from Dentsply Sirona Implants. © 2017 Dentsply Sirona. All rights reserved.